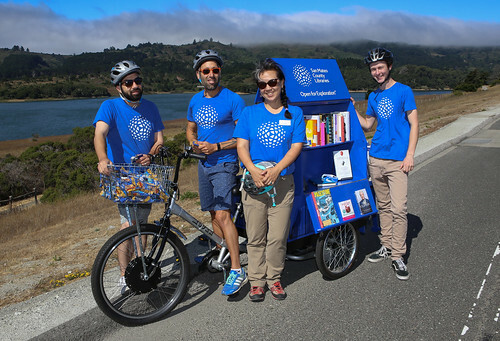 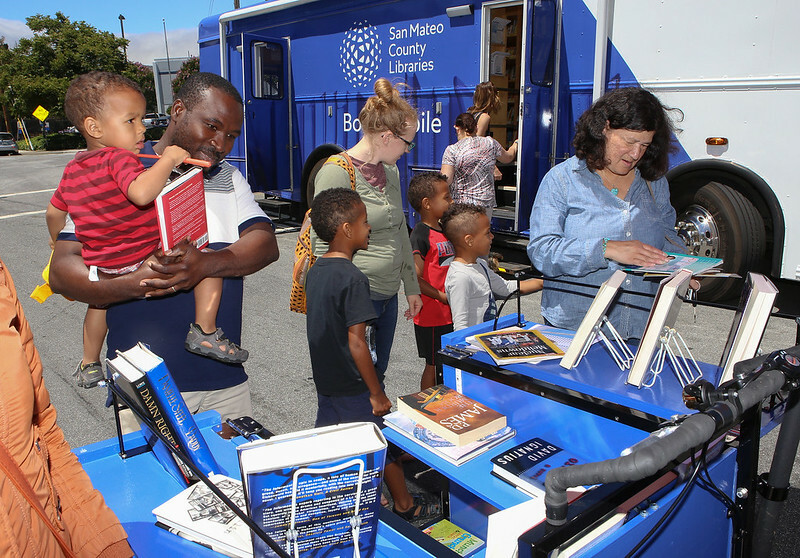 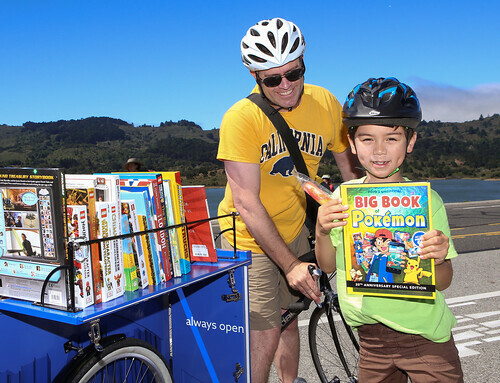 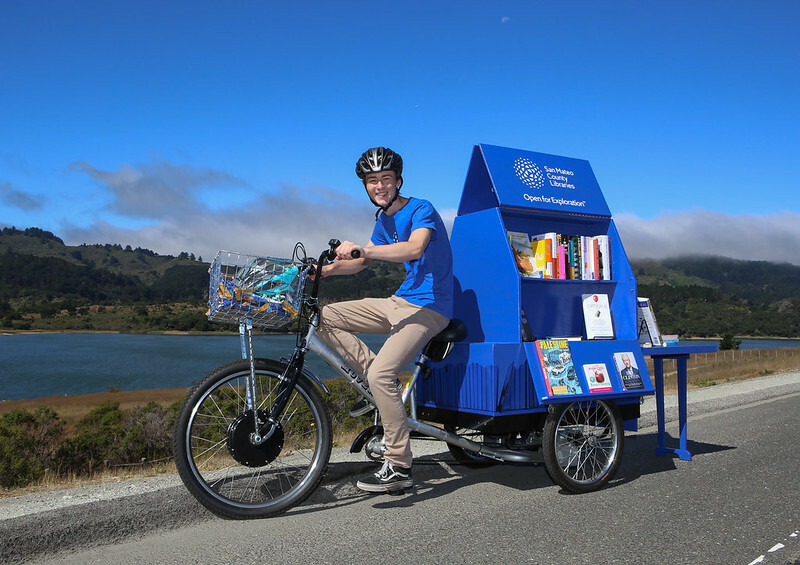 San Mateo County Libraries has a fleet of six Book Bikes that staff use to bring the library to you. 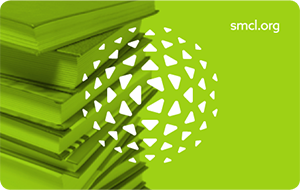 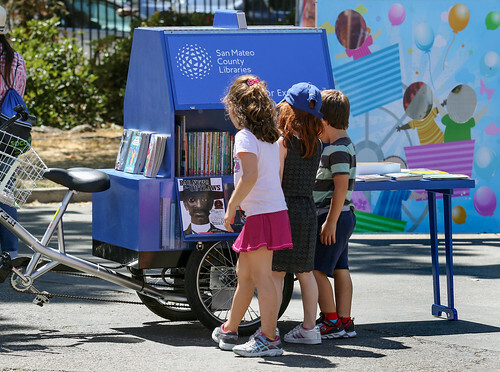 Think of a Book Bike as a mini mobile library on three wheels. 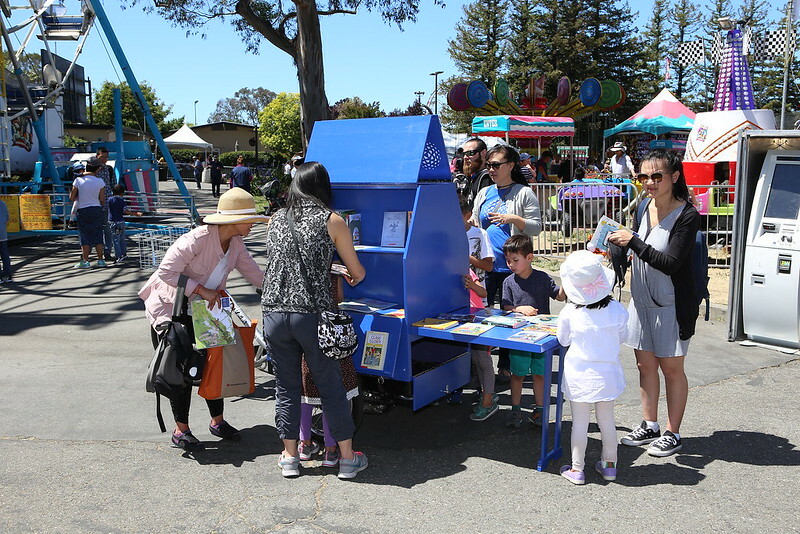 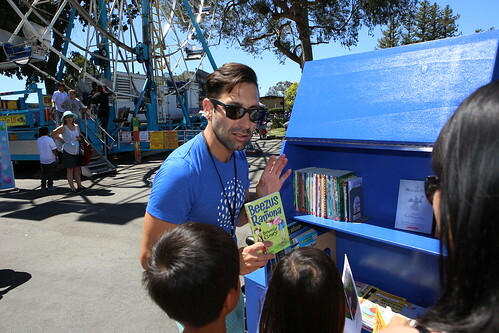 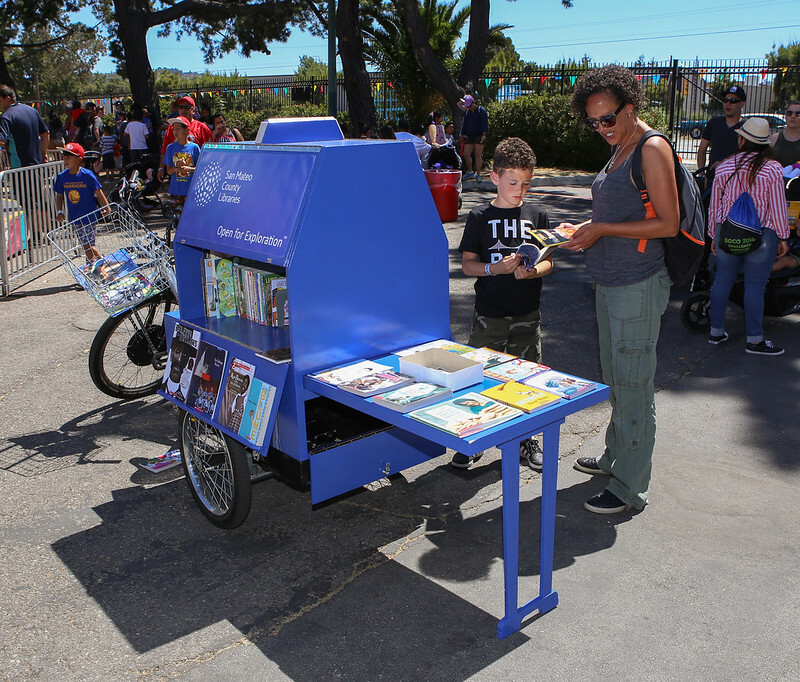 Our Book Bikes help us reach out to communities with books, WiFi and program information, all for the love of learning and literacy. Look for us at local parks, festivals and other special events. We also visit schools and residential centers, and are always looking for opportunities to ride our Book Bikes to an event near you.